That said, a lean patch which may be down to declining abilities and advancing age, then the selectors have no other option but to drop the player. Over the chequered history of Indian cricket, plenty of great cricketers have had to call time on their careers after going through a prolonged bad patch, that resulted in them getting the axe. Here is a look at 5 of those. 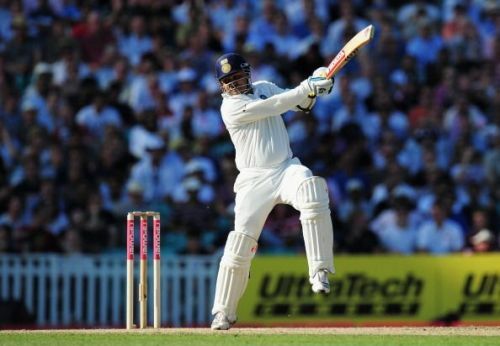 If one is to make a short list of some of the best batsmen that India has ever produced, then Virender Sehwag would certainly be on it. However, the severe loss of form that he suffered from after the 2011 World Cup, eventually led to the end of his career. In the last 18 Test matches in his career, starting from January of 2011 to the end of his career, he scored only one century and averaged an abysmal 28.62 (as opposed to his career average of 49.34). The fact that he had taken to wearing spectacles must not have helped matters either. In one-dayers, he did better, and in fact, scored the famous 219 against the West Indies in December 2011. However, a quiet series in Sri Lanka, followed by two failures against Pakistan in 2012-13 signalled the end of his career. He announced his retirement in 2015 to bring down the curtains on a stellar career.